Among all the glitters, despite this does not correspond to my personal taste at all, I must confess that Richard Mille’s Tourbillon Fleur is something which cannot go unnoticed – together with Roger Dubuis’ Exclalibur Brocéliande, quite an epic creation I have to say. The Tourbillon Fleur is a watch which personality, which imitation of Nature, is capable of blurring the dividing lines between artistic creativity and life itself. The new RM 19-02 Tourbillon Fleur epitomizes the horological artistry’s traditions of capturing the very substance of life using mechanical means (traditions which trace back to the Age of Reason) in a vibrant expression of watchmaking distinctive to Richard Mille’s vision of timekeeping in the 21st century. For the creation of this timepiece a special flower, the Magnolia, which delicate appearance stands in sharp contrast to its strong organic structure and resilience in difficult environments, in an endless cycle of birth and regeneration, has been chosen. A fascinating close up of the Magnolia flower enveloping the flying tourbillon movement, opening and closing with rhythmic regularity. However, if you look very closely, you will see that the Magnolia does not just open, the entire flying tourbillon with its stone set stamen actually moves upwards 1mm when fully opened, exactly copying the natural motion of the flower’s arching upwards of its stamen to increase its chances of pollination. Attention to details such as these exemplify the Richard Mille approach to watchmaking artistry on every level. 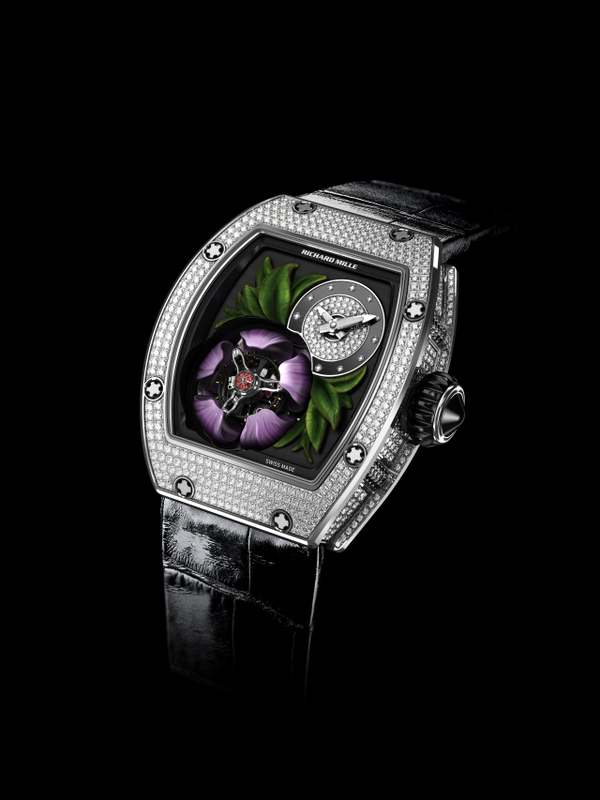 The RM 19-02 Fleur is limited to a production of 30 pieces worldwide. Post edited by Claudia Carletti, Jewellery Through Time. Material courtesy of Richard Mille.